Relentlessly intelligent, gloriously uninhibited and occasionally controversial, QI has engaged the brains of discerning quiz fans for over a decade, garnering no fewer than ten prestigious TV awards and multiple BAFTA nominations. Hosted by Stephen Fry and co-starring stalwart player/resident whipping boy Alan Davies, these shows feature David Mitchell, Noel Fielding, Phill Jupitus, Ross Noble, Sue Perkins, Bill Bailey, Jimmy Carr, Jeremy Clarkson, Sandi Toksvig, Jo Brand, Johnny Vegas, Jason Manford, Victoria Wood and many others joining the ranks of cleverclogs and dunderheads sparring with the famously erudite quizmaster. 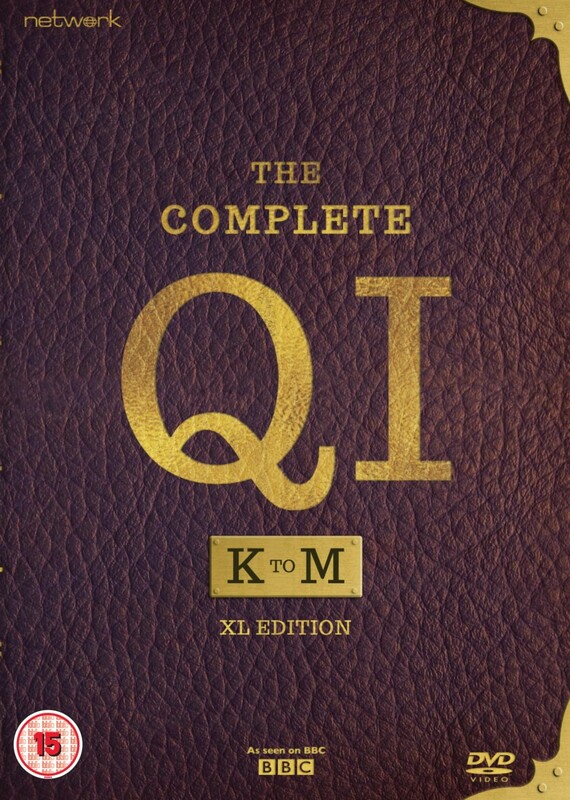 From Knees and Knockers to Levity and Merriment, this thirteen-disc set offers an unmissable meander though the complete Series ""K"" to ""M"".